Good looks, excellent handling and strong brakes. 160 quick enough. Good crash test rating. Better drive than MGF. Head gasket problems with K-series four-cylinder engines. Dash trim feels cheap. No glass rear window. 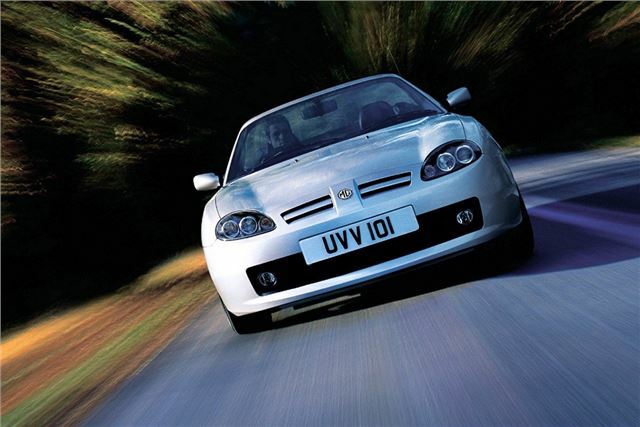 Launched in 2002, the MG TF was based on the MGF. Heavily reworked, the most notable change was the shift away from the MGFs Hydragas suspension to a more traditional springs and shocks arrangement. Other tweaks included increasing the car's rigidity in a bid to improve dynamics, and a redesigned airflow path for the cooling system to prevent the K-series pulling its usual party trick of overheating. As well as the side air-intake grilles you can tell the MGF and TF apart thanks to redesigned headlights, bumpers, grille and the rear boot. Those looking for at-the-wheel thrills had little to complain about. 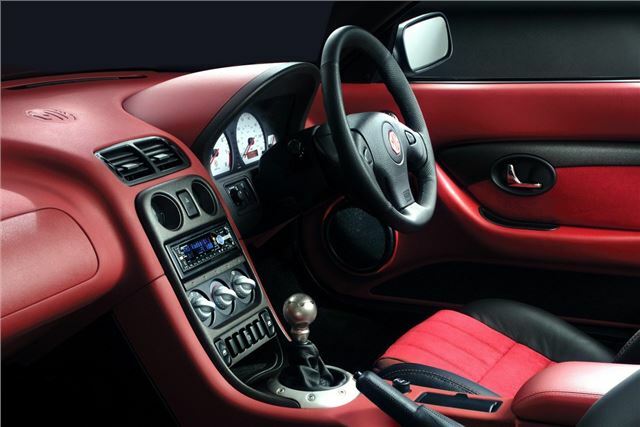 The TF is a mid-engined sports car with double wishbone suspension and delivers on its promise to entertain. Where it fell down, however, was in terms of build quality. The cabin was a thorn in its side when new - although classic owners have tended to be more forgiving of its shortcomings. It's still very much a soft-top bargain, however, with low-mileage cherished examples available for not much more than £1000.